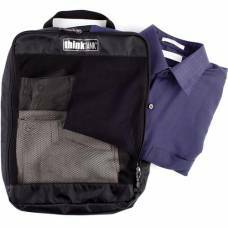 The pouches are small and versatile allowing them to easily fit into your bigger camera bags without taking up too much space. Although they are small, these guys are made from durable material that won't let go without a fight. 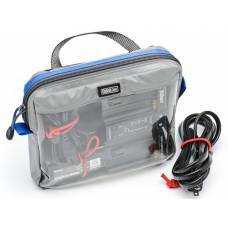 Amongst the pouches for cables are bags for other accessories like more personal items that you might need on your adventures like a toothbrush, a charger for your phone or a clean shirt. You know, just in case. It is conveniently sized to organize flash drives to flash units. Clear, zippered pockets for content ID. With these small and versatile pouches you can easily organize all of your extras to avoid losing them. 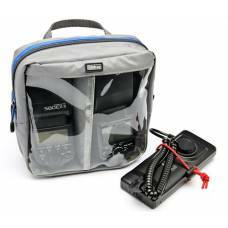 Organizing your extras while on a photographic journey has never bee so easy and comfortable. 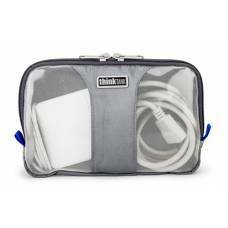 Organizing extra necessities are now a breeze with these unique pouches from Think Tank. 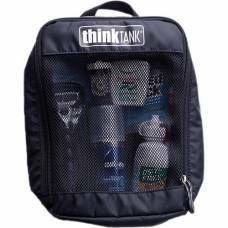 Travel with ease keeping all of your personal belongings close and easily fits in the same bag as your gear. 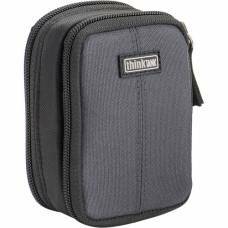 Sometimes it is easy to forget other gear not related to your camera, this pouch will help you remember the rest. 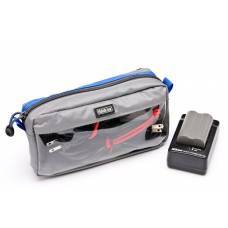 This think tank action camera pouch for GoPro HERO action cameras will protect your gear while you travel.